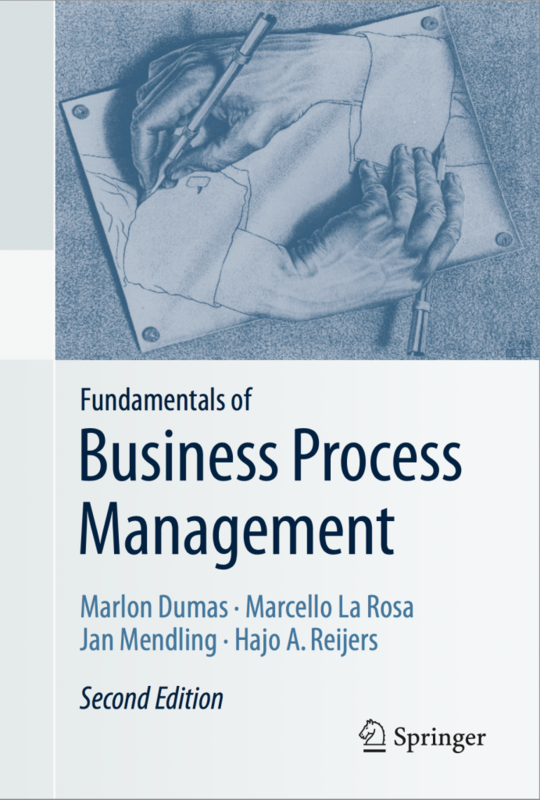 Welcome to the companion site of Fundamentals of Business Process Management. We are pleased to announce the second edition of our textbook! This second edition includes extended and completely revised chapters on process identification, process discovery, qualitative process analysis, process redesign, process automation and process monitoring. We also added a new chapter on BPM as an enterprise capability, which expands the scope of the book to encompass topics such as the strategic alignment and governance of BPM initiatives. In this website you will find slides and video lectures, figures and other supplementary material associated with the book (we are updating the material to reflect the new book structure and content). Instructors are welcome to use this material provided that they refer to the book or this web site. The book is available at Springer, Amazon and at your favorite bookstore. If you are an instructor using the book in your class, you can request access to instructor-only material, e.g. solutions to exercises. Please contact us at bpmtextbook@lists.ut.ee with a link showing your affiliation to a higher-education institution. Enjoy the book and the courseware!